Since 1996, Champion Star Service has been a reliable Baton Rouge electrician that has provided our customers with the confidence that their electrical problems/needs will be taken care of by qualified and trained technicians, that have been drug-tested and background checked. We guarantee 100% customer satisfaction. We are locally owned and operated and fully insured. We have more than 25 years of electrical experience. We do both commercial and residential work. 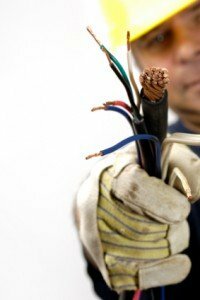 We know you value your property, so our Baton Rouge electricians will respect and keep your work area clean and free of hazards. We will give you a price from our Up-Front Pricing Guide before we begin the work. We take great pride in dealing personally with all of our customers and believe that quality workmanship, coupled with exceptional customer service creates repeat customers, so call us today! If you are looking for a Baton Rouge electrician then please call 225-644-0400 or complete our online request form.